Arrive early to Prince William County and have lunch in the Officer’s Club on Marine Corps Base Quantico. Then visit Quantico National Cemetery, where our Nation’s Veterans are remembered. Have the honor of helping the Missing In America Project, an organization that aims to find, identify and inter unclaimed remains of fallen veterans. Experience a once-in-a-lifetime opportunity by participating in placing flags at the graves of these previously forgotten heroes. 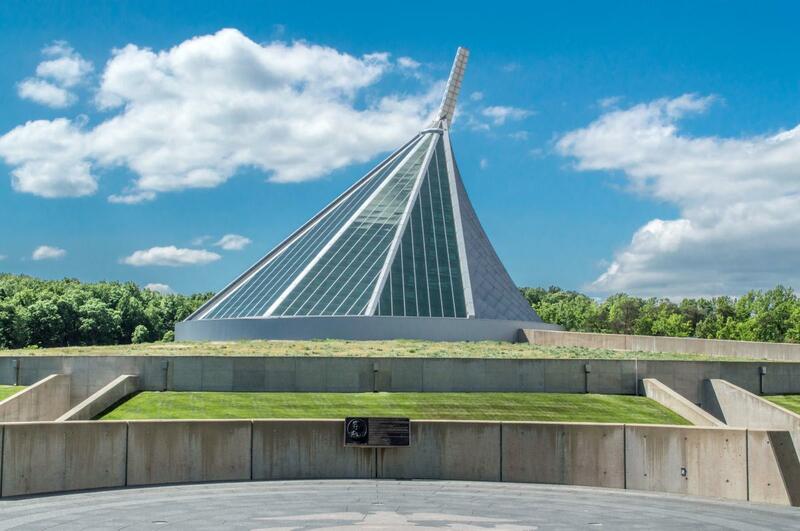 Travel down the street to the National Museum of the Marine Corps, the soaring design evokes the image of the flag-raisers of Iwo Jima and beckons visitors to this 120,000-square-foot structure. World-class interactive exhibits using the most innovative technology surround visitors with irreplaceable artifacts and immerse them in the sights and sounds of Marines in action. Tonight enjoy dinner at Bahama Breeze, the restaurant that brings you the feeling of a Caribbean Escape with its unique combination of Caribbean-inspired food, handcrafted tropical drinks served in a vibrant atmosphere. Start the morning with a Civil War guide dressed in his military uniform lead you to Manassas National Battlefield Park “Where the Southern Victories Tested the Northern Resolve”. This was the first major land battle of the United States’ Civil War, two armies clashed for the first time, heavy fighting swept away any notion of a quick war. Afterward, visit a Civil War hospital at the Ben Lomond Historic Site. Soldiers were taken here after the Battle of First Manassas to care for their wounds and left their signatures on the walls to prove it. Learn about 19th-century medicine used to care for the injured soldiers. Get your adrenaline pumping with team building activities at The EDGE, such as the Alpine Tower course. This 50-foot triangular structure, designed to be conquered through a series of obstacles, like a swinging rope ladder, is certain to get your heart racing. By the end, you will have worked up a big appetite for lunch. Looking for a thrilling activity that is less taxing on the body? Look no further than Autobahn Indoor Speedway where you will experience an indoor go-kart race with speeds up to 50 mph. Their safety precautions include a four-point harness and superior braking system that will ensure a great environment to put the pedal to the metal! Have dinner at Uptown Alley, an upscale bowling alley at Manassas Mall. With 24 bowling lanes, a full arcade, and two-story laser tag maze, the fun stops only when you want it to. The on-site Red Embers Grill will give your group a from-scratch meal to enjoy before or after your games. In the morning travel to Norfolk, Virginia and plan to arrive at 11am. Explore the power of the sea inside Nauticus, an interactive science and technology center, where you can explore the power of the sea. While there, step aboard the Battleship Wisconsin, one of the last and largest battleships built by the U.S. Navy. Stand beneath her 16-inch guns and feel the excitement of being aboard an historic warship. Stroll through the Hampton Roads Naval Museum and experience 200 years of Naval history in Hampton Roads. Take part in a guided bus tour of the world’s largest naval installation, Naval Station Norfolk. A knowledgeable, active duty Navy guide will give a narrated tour of the base highlighting the U.S. Naval Fleet, Admirals Row, and how the base is a working city. Have lunch on base at one of the officer’s club. Before departing from Norfolk discover the compelling story of General Douglas MacArthur and the millions of Americans who served our nation through five wars at The MacArthur Memorial. The MacArthur Memorial is a museum and research center dedicated to preserving and presenting the story of the life of General of the Army Douglas MacArthur. The Memorial also pays tribute to the millions of men and women who served with General MacArthur in World War I, World War II, and the Korean War. Situated in downtown Norfolk Virginia, the Memorial consists of a museum, archives and research center, education center, theatre, welcome center and a gift shop.